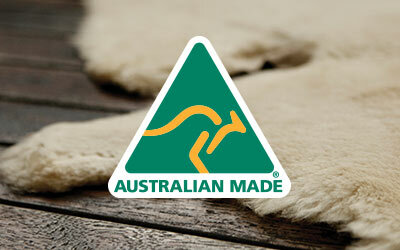 EMU Australia has an excellent choice of sheepskin and leather shoes and boots for babies and toddlers. With a wide range of styles, colours and cute details, you’re sure to find something for the baby or toddler in your life. We have our 100% real Australian sheepskin boots for babies and toddlers, in classic and neutral colours such as black, brown and tan, or sheepskin boots with adorable animals faces on. Our boots for babies and toddlers have velcro fastenings so they’re easy to slip on and off, and our sheepskin is also water resistant. The Australian Merino wool we use in a lot of our shoe and boot linings is super soft, cosy and comfortable, as well as adding a touch of everyday luxury. Our soles are hard and durable yet flexible and have a wave design for added traction and grip, so they’re ideal for new walkers. 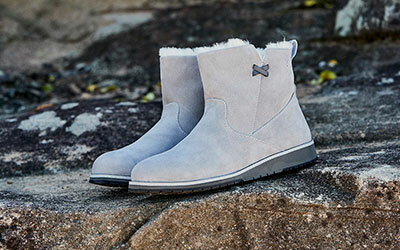 And we use double stitching on our seems, so all of our shoes and boots are tough and long-lasting. Many of our sheepskin boots for babies and toddlers are Woolmark accredited, so you can be sure you’re giving them the gift of top quality.